The learning of Ayurveda can never be complete in one’s lifetime. The more you learn the wiser and expert you become in that field. Ayurveda is an ancient practise that enriches the body, mind and soul. It is not just a discipline to study but a way of life. 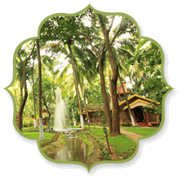 Keeping in mind this vision, Kairali Ayurvedic Group motivated the initiation of Ayurvedic Training Programs to cater to the specific requirements of the individual. The Intensive Ayurveda Training Program (WAP-HV) focuses on the learning of the basics of Ayurveda, its origin, the different therapies (both theory and practical) and the basic concepts on Ayurvedic Philosophy. 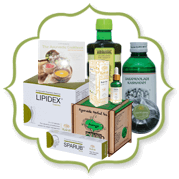 Suitable for spa & wellness industry professionals, spa & salon managers, owners, trainers, therapists, doctors, holistic healers, dieticians. The Intensive Ayurveda Training Program (WAP-HV) provides the crux of Ayurveda and will make you more knowledgeable on 5 of the most important therapies of Ayurveda along with deep insight about natural way of living & the importance of balancing bio-humours to keep a person healthy. Spa & wellness centre owners or managers who want to introduce Ayurveda into their service menu; this program will be the ideal choice. Program will cover History of Ayurveda, Philosophies, Ayurvedic Wellness Concepts, Tridosha & Panchakarma theories, and 5 major therapies of Ayurveda and its practical demonstration. 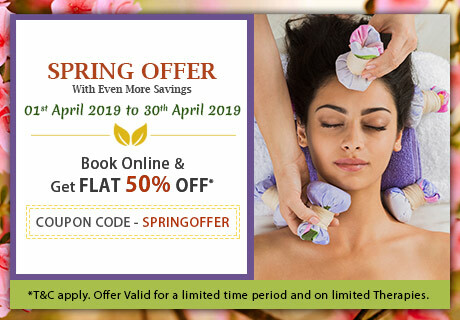 One-hour theory class & one-hour practical demo on Ayurveda therapies along with 5 sessions of Ayurveda Treatments; make this program a perfect rejuvenation and educational package for the candidate. A certificate will be provided to you after successful completion of the course or workshop. 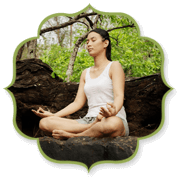 Basic Learning to Ayurveda and its related topics. Introduction to Basic Theories of Ayurveda. Theory part of Udwarthanam Therapy. Importance and Benefits of Udwarthanam. Do’s and Don’ts of Udwarthanam. Pre & Post requirements of Udwarthanam. Importance and Benefits of Kativasti. Do’s and Don’ts of Kativasti. Pre & Post requirements of Kativasti.